With the rapid development of NIC, the poor performance of data packets processing with Linux kernel has become the bottleneck. However, the rapid development of the Internet needs high performance of network processing, kernel bypass has caught more and more attention. There are various similar technologies appear, such as DPDK, NETMAP and PF_RING. The main idea of kernel bypass is that Linux is only used to deal with control flow, all data streams are processed in user space. Therefore, kernel bypass can avoid performance bottlenecks caused by kernel packet copy, thread scheduling, system calls and interrupt. Furthermore, kernel bypass can achieve higher performance with multi optimizing methods. 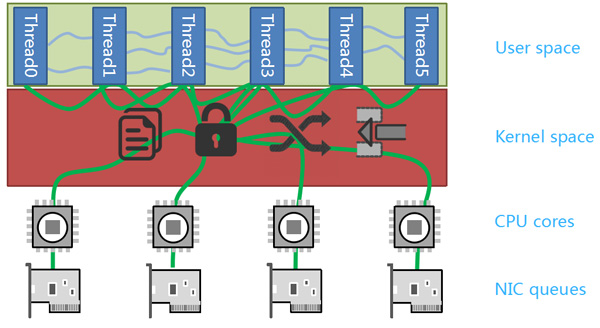 Within various techniques, DPDK has been widely used because of its more thorough isolation from kernel scheduling and active community support. 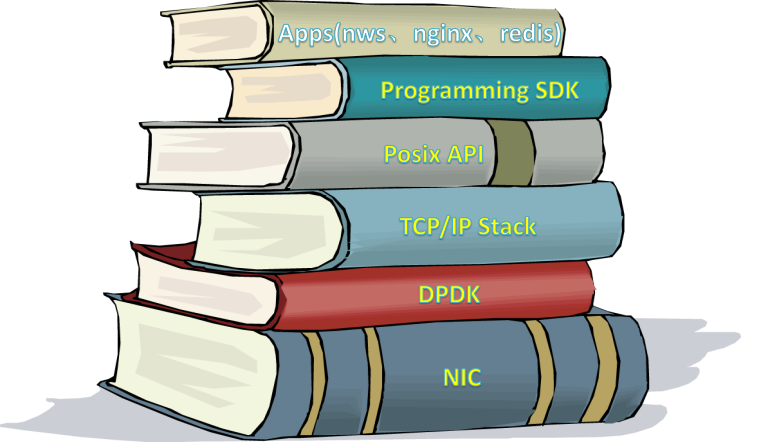 F-Stack is an open source network framework with high performance based on DPDK， include an user space TCP/IP stack(port FreeBSD 11.0 stable), Posix API(Socket, Epoll, Kqueue), Progamming SDK(Coroutine) and some apps(Nginx, Redis) interface. Ultra high network performance which can achieve network card under full load, 10 million concurrent connection, 5 million RPS, 1 million CPS. Transplant FreeBSD 11.01 user space stack, provides a complete stack function, cut a great amount of irrelevant features. Therefore greatly enhance the performance. Provide micro thread interface. Various applications with stateful app can easily use F-Stack to get high performance without processing complex asynchronous logic. 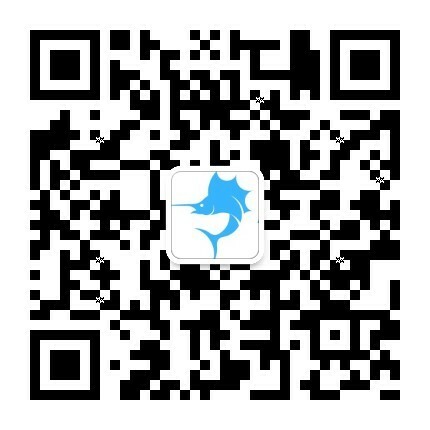 Currently, there are various products in Tencent Cloud has used the F-Stack, such as DKDNS(DNSPod's authorization DNS server), HttpDNS (D+), COS access module, CDN access module, etc..
Now let's start using F-Stack to launch a HTTP server on EC2 with Nginx. F-Stack is an user space network development kit with high performance based on DPDK, FreeBSD TCP / IP stack and coroutine API. Copyright © . Tencent Cloud All rights reserved.